Looking for that perfect and unique baby gift? Check out the Willa Walker, a new tool invented by six Marin dads, to help parents with a child learning to walk - available exclusively through their Indiegogo campaign. I'm very excited to speak to local dads Gabe, Ken, Ben, Jake, Pavi, and Erick about Willa Walker and their Indiegogo campaign which launches today. You're the first group of 'dadprenuers' I've spoken to. Can you all introduce yourselves? We’re six dads who like to play and have fun. Our mission is to create simple playful tools that will bring joy into families’ lives. The Willa Walker is our first playful tool - the first of many, we hope. Gabe invented it while babysitting Ken’s daughter, Willa. Gabe’s a mechanical engineer. He’s the master of inventive, fun games and creative tools for playing those games. When he invented this one we decided we wanted to get it to more people if possible and just went for it. 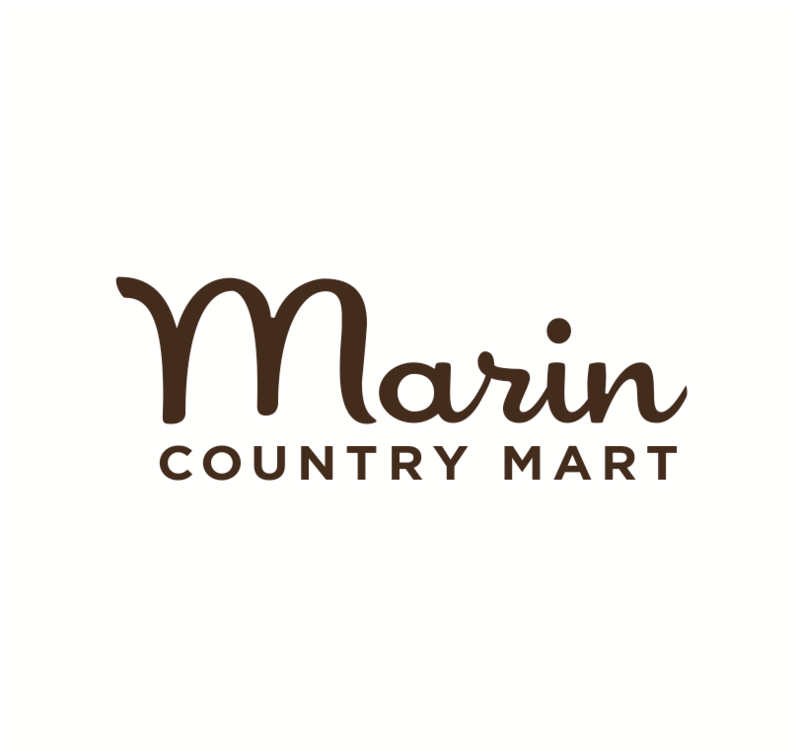 We’re all friends with a strong connection to Marin. Gabe, Ben, Pavi, and Jake all grew up here and went from elementary to college together. Ken moved here two decades ago, moved away and made it back in 2011. Erick is our newest team member. He discovered Marin more recently and lives in Sausalito. The Willa Walker was a reason for the original five of us to connect around a project when we were all living in different parts of the world in 2011, but it was tough to get it launched when we were so spread apart. Four of us all were back in the Bay Area in 2015 and so we were able to really get it going and here we are now. How did the Willa Walker begin? Ken and his wife had moved away from Marin in the 90s and were living in Washington D.C. They were back for a visit with their 10-month old learning-to-walk daughter Willa and asked cousin Gabe to babysit while they went kayaking. Ten minutes into the babysitting session, out of Gabe’s engineering creativity and incredulity at how much time he’d already spent hunched over, the Willa Walker was born from some scraps in the garage. Willa immediately took to it and showed it off all around the east coast for months while she was learning to walk. It's a unique idea. I have terrible back problems and could have used this. Can you tell me more about the product itself? The Willa Walker is a simple solution that allows parents to stand upright while helping their child learn to walk — preventing the back pain associated with bending over to hold a child's hands while they learn to balance and walk on their own. Willa Walker mimics the natural way parents help their baby learn to walk. They’re made from sustainable hardwood, heavy duty cotton strap, and organic coconut oil - that’s all. It’s simple, small, and portable. No harness, no buckles. Just a ring instead of a parent’s finger. All six of us are committed to building a company that produces goods without doing any harm. We’re also convinced it’s doable. We’ve built partnerships with makers and charities that hold these same beliefs. We have two amazing environmental charity partners, Eden Reforestation Projects and the Lonely Whale Foundation. For every Willa Walker sold, we plant ten trees and contribute to educating kids about the importance of our oceans. On the production end, we do everything we can do to minimize our “footprint” while helping babies start to make them. The wood for Willa Walkers is sourced from the Masaya Furniture company. Masaya uses small pieces of sustainably sourced tropical hardwoods left over from their production process. Masaya manages and operates tree plantations — helping to create jobs and return damaged land to its natural state. Your tag line is "join the movement". Can you explain what you mean by that? Well, it sort of says it all, we think. We don’t want to encourage kids to start walking earlier than they otherwise would, but why not make the transition to the world of the walking more joyful and less painful for mom and dad? What did each of you do prior to the Willa Walker? We all remain with one foot in the Willa Walker world and the other in our “Real” jobs….for now. Through our company Playful Nature, LLC, we want to continue to invent products that make people happy. Gabe: I'm a mechanical engineer by trade and I specialize in fun. I love nothing more than to come up with an idea and to see it make others smile. I've got a wonderful wife and baby girl that make it hard not to enjoy life. I hope that when I grow up I get to play full time. Jake: I’m a dad to a current Willa Walker and a family doc. I love helping people and sometimes try to sew Willa Walker handles. Ken: My favorite ways to spend my free time are playing with my kids, playing basketball, body-surfing, dancing with my wife, and sanding Willa Walkers. I work at the U.S. Department of Health and Human Services for my day job. At heart, I'm a real policy nerd. Ben: Artist, Idealizer, Father and Husband, Firm believer in Humanity. Pavi: First I'm a parent with an amazing wife/life partner. Four months ago I hung up my lab coat from my previous day job as a chemical engineer in the San Francisco pharma world to pursue a more satisfying career in Colombia. While I'll always be curious and scientific, entrepreneurial work with Willa Walker and Juno Health & Wellness allow for creative fulfillment. Erick: My family and I have been living in Marin for 3 years and have come to love the bay area. Great people and great weather (usually) have provided a unique experience of raising a family here. My child LOVES his Willa Walker and we hope to spread the joy we have found with the product to others as well. It's one thing to create a nifty tool but it's another to take a risk to bring it to market. What was that ah-ha moment? The a-ha moment was when Willa immediately took to it. We really had some momentum back in 2011, but we were all in different corners of the world at that time so it was tough to keep things moving. The second big ah-ha was Poppy, Gabe’s daughter. Once Gabe had an in-house beta tester, we iterated like crazy and just got a ton of momentum. We were in a major rush because we knew Poppy would become a proficient walker and we wouldn’t have a captive beta tester - but one of the greatest things we’ve learned from her is that even after they’ve learned to walk on flat surfaces kids like to continue to use it on less stable surfaces like beaches and trails. Any parent who hikes with their baby on their back can appreciate that the Willa Walker can get them some stretches with the kid on the trail rather than in the backpack. I understand you just started an Indiegogo campaign. Can you tell me more about that? We did just start our Indiegogo campaign. One of the things we’ve learned in the first few months in the market is that people want to be able to customize them. So, we have increased the number of colors we’re offering, but we want to raise the funds to get a laser-etcher so we can let customers choose designs and put baby names on them to add a personal touch. We also hold a provisional patent on the design and want to transition to a non-provisional patent. We’re seeking funds to assist with that process as well. Where can someone currently purchase a Willa Walker? Starting TODAY, March 21, it’ll be exclusively available on Indiegogo.com for 40 days. We will temporarily suspended sales on our website, in hopes we gain as much momentum and buzz on Indiegogo as possible. So, you are all Marin dads. What are your favorite things to do in the Bay Area? We love Mt. Tam and the beaches. The nature of the county is tops. We camp at Steep Ravine campground a good bit. Fish in Sausalito is great for some Portuguese fish chowder in the fog. Avatar’s Punjabi Burritos are special. We love scuffins from Dr Insomniac’s and milkshakes from the Parkside snack bar at Stinson. And we are loving the El Nino rains and going on hikes in Baltimore Canyon to see the raging creek. What are the causes that speak to your heart? We know that five guys growing a business will not be the make or break for planet earth. But we believe there is a quiet revolution of conscious makers who are working outside modern manufacturing channels – seeking sustainable materials, processes, and practices. We want to do everything we can to be a part of that revolution and help it grow. We really believe there is no greater threat than global warming. The problem is so huge and requires such a massive response from the global community. From where we are, we are highly conscious in every business decision. We are explicitly putting environment, and humanity ahead of profit. Gabe, Ken, Jake, Pavi and Ben are the founders of the Willa Walker, the only baby walking assistant that mimics the natural way parents teach their baby to walk. They all have a Marin connection and their Willa Walker are hand-sanded here in the County. For more information, visit Willa Walker website, Twitter, Facebook , Pintrest, and Instagram.